Enter your email address (below) for a chance to win! 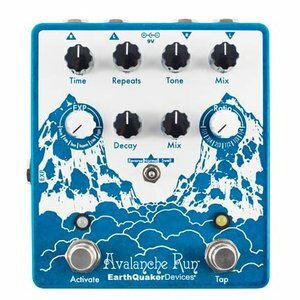 To double your chances of winning, follow sE Electronics (@seelectronics) & EarthQuaker Devices (@earthquakerdev) on Instagram and comment on the contest post(s)! One comment = one entry. One entry per user per post. 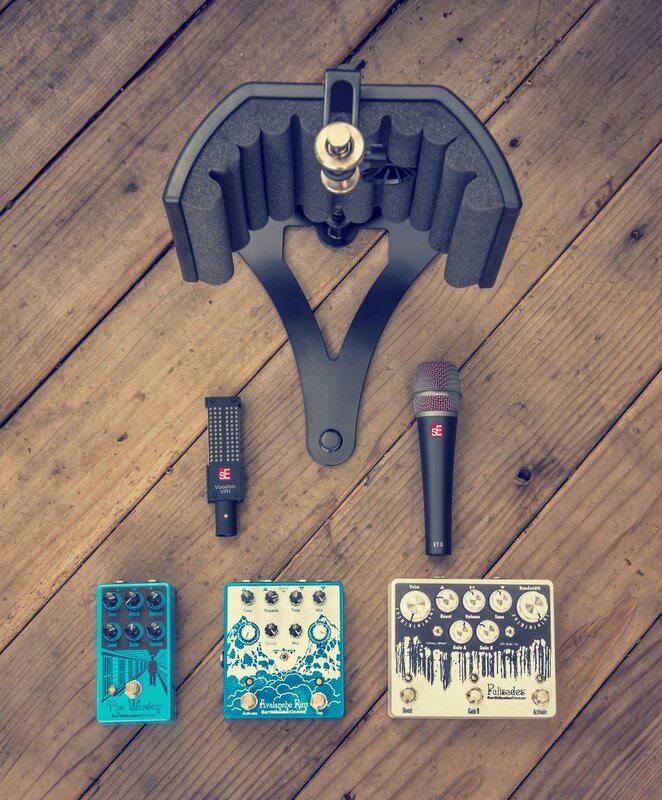 And if that’s not enough entries to win, go for the triple-double: like sE Electronics & EarthQuaker Devices on Facebook and comment on the contest post(s). One comment = one entry. One entry per user per post. Contest valid 3/30/2018 - 4/13/2018. The promoters are sE Electronics International, Inc. and EarthQuaker Devices, LLC. Employees of the promoters or their family members or anyone else connected in any way with the competition or helping to set up the competition shall not be permitted to enter the competition. Closing date for entry will be 11:59pm ET, April 13th 2018. After this date no further entries to the competition will be permitted. The promoter reserves the right to cancel or amend the competition at any time for any reason. No cash alternative to the prize will be offered. The prize is not transferable. Prize is subject to availability and we reserve the right to substitute any prize with another without giving notice. The winners will be chosen at random from the list of valid entries. The winner will be notified by email and/or social media within ten (10) days of the contest's conclusion. If the winner cannot be contacted or do not claim the prize within 30 days of notification, we reserve the right to withdraw the prize from the winner and potentially pick replacement winners at our discretion. The promoter will notify the winner when and where the prize(s) can be collected. The competition and these terms and conditions will be governed by US law and any disputes will be subject to the exclusive jurisdiction of the courts of the United States of America. The winners agrees to the use of their names and images in any publicity material. Any personal data relating to the winners or any other entrants will be used solely in accordance with current US data protection legislation and will not be disclosed to a third party without the entrant’s prior consent.